Here’s total trust. 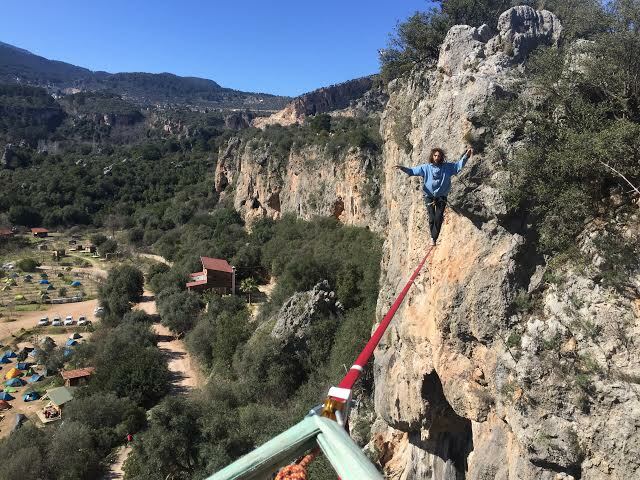 That’s Ari walking on a highline in Turkey. He’s got a harness on. But still. Here’s a prayer on trust that my friend, Amy, wrote. She sent it to me and I modified it a bit for all of us. I trust there is a plan even when I don’t know what it is. I trust that the process is perfect no matter how it appears, and that my path is mine, no one else’s. What is ultimately good for me can look bizarre but I still trust my journey. I know that all is good–there are no mistakes. I trust that I am watched over and that my heart is attached to G-d’s. I need to remember that G-d smiles on me all the time. I trust that whatever is completely overwhelming right now, whatever seems hopeless and wrong, will not last forever. At some point I will get a break; the right people will show up to enhance my journey and everyone and everything that is not for my highest good will drift away on their own. I trust that I am exactly where I’m supposed to be today. We came up with different acronyms. Mine is: Total Reliance on an Unknowable Sure Thing. What’s yours for TRUST? Send ’em in. And I hope that whatever you are going through today, you can trust that it’s what you need to learn an important spiritual lesson. More on high-lining here. This is not an endorsement. 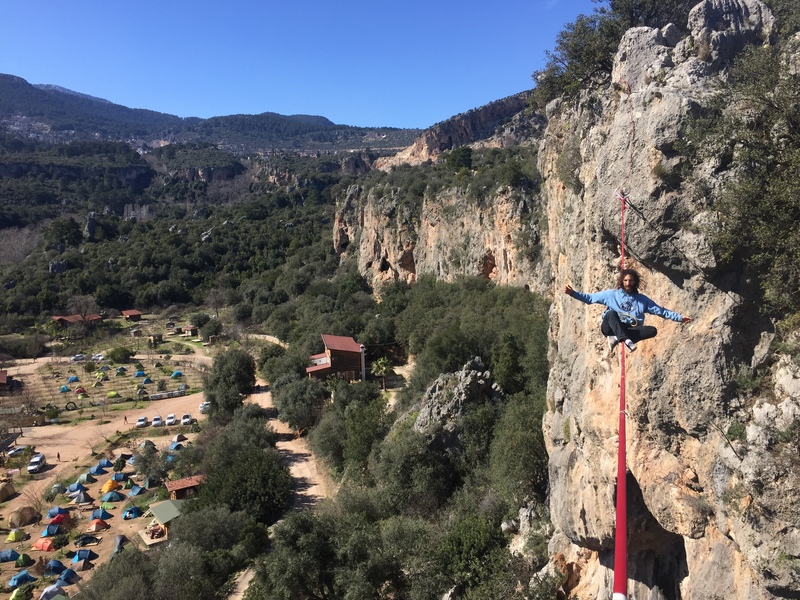 What normal Jewish mother would encourage her kid to high-line? But acceptance doesn’t mean you like something. It just is and you recognize it. Look how tiny the people look down below. Then again, don’t. This entry was posted in Acceptance, living simply and tagged acceptance, trust. Bookmark the permalink. 6 Responses to Ten Things To Remember On Trust. That’s right. Don’t look down. Eeeeeeeeeeee. Hi Rhonda, I like it when what’s meaningful for me resonates with friends like you! Thank you for writing. That is a great acronym, Tracy! Truth Revealed Under Testing Holding-onto-the-hand-of-G-d! Outstretched hands!